We know that hedge funds generate strong, risk-adjusted returns over the long run, therefore imitating the picks that they are collectively bullish on can be a profitable strategy for retail investors. With billions of dollars in assets, smart money investors have to conduct complex analyses, spend many resources and use tools that are not always available for the general crowd. This doesn’t mean that they don’t have occasional colossal losses; they do (like Peltz’s recent General Electric losses). However, it is still a good idea to keep an eye on hedge fund activity. With this in mind, as the current round of 13F filings has just ended, let’s examine the smart money sentiment towards Herbalife Nutrition Ltd. (NYSE:HLF). Is Herbalife Nutrition Ltd. (NYSE:HLF) a buy right now? Investors who are in the know are getting less optimistic. The number of long hedge fund bets were cut by 9 lately. Our calculations also showed that HLF isn’t among the 30 most popular stocks among hedge funds. HLF was in 29 hedge funds’ portfolios at the end of the fourth quarter of 2018. 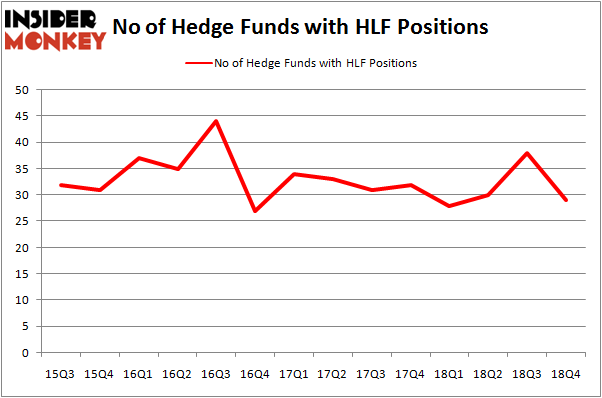 There were 38 hedge funds in our database with HLF holdings at the end of the previous quarter. We’re going to go over the key hedge fund action regarding Herbalife Nutrition Ltd. (NYSE:HLF). How are hedge funds trading Herbalife Nutrition Ltd. (NYSE:HLF)? At the end of the fourth quarter, a total of 29 of the hedge funds tracked by Insider Monkey were bullish on this stock, a change of -24% from one quarter earlier. Below, you can check out the change in hedge fund sentiment towards HLF over the last 14 quarters. So, let’s examine which hedge funds were among the top holders of the stock and which hedge funds were making big moves. 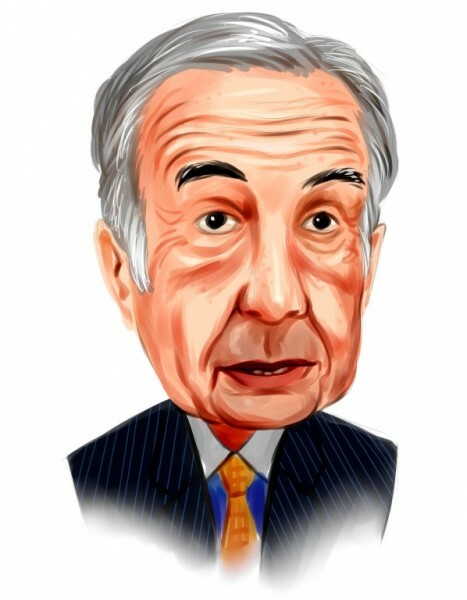 Among these funds, Icahn Capital LP held the most valuable stake in Herbalife Nutrition Ltd. (NYSE:HLF), which was worth $2076.7 million at the end of the third quarter. On the second spot was Renaissance Technologies which amassed $483.4 million worth of shares. Moreover, D E Shaw, Deccan Value Advisors, and Route One Investment Company were also bullish on Herbalife Nutrition Ltd. (NYSE:HLF), allocating a large percentage of their portfolios to this stock. Seeing as Herbalife Nutrition Ltd. (NYSE:HLF) has faced bearish sentiment from the entirety of the hedge funds we track, it’s easy to see that there lies a certain “tier” of funds that slashed their positions entirely by the end of the third quarter. It’s worth mentioning that Nick Niell’s Arrowgrass Capital Partners said goodbye to the biggest investment of the 700 funds watched by Insider Monkey, comprising about $131.4 million in stock, and George Soros’s Soros Fund Management was right behind this move, as the fund sold off about $24.8 million worth. These bearish behaviors are important to note, as aggregate hedge fund interest dropped by 9 funds by the end of the third quarter. Let’s check out hedge fund activity in other stocks – not necessarily in the same industry as Herbalife Nutrition Ltd. (NYSE:HLF) but similarly valued. We will take a look at Centrais Elétricas Brasileiras S.A. – Eletrobras (NYSE:EBR), Zebra Technologies Corporation (NASDAQ:ZBRA), Westlake Chemical Corporation (NYSE:WLK), and DaVita Inc (NYSE:DVA). This group of stocks’ market values resemble HLF’s market value. As you can see these stocks had an average of 24.25 hedge funds with bullish positions and the average amount invested in these stocks was $1019 million. That figure was $4017 million in HLF’s case. DaVita Inc (NYSE:DVA) is the most popular stock in this table. On the other hand Centrais Elétricas Brasileiras S.A. – Eletrobras (NYSE:EBR) is the least popular one with only 5 bullish hedge fund positions. Herbalife Nutrition Ltd. (NYSE:HLF) is not the most popular stock in this group but hedge fund interest is still above average. This is a slightly positive signal but we’d rather spend our time researching stocks that hedge funds are piling on. Our calculations showed that top 15 most popular stocks among hedge funds returned 21.3% through April 8th and outperformed the S&P 500 ETF (SPY) by more than 5 percentage points. Unfortunately HLF wasn’t in this group. Hedge funds that bet on HLF were disappointed as the stock lost 7.8% and underperformed the market. If you are interested in investing in large cap stocks, you should check out the top 15 hedge fund stocks as 12 of these outperformed the market.